We previously reported that Georgia would begin honoring the Virginia permit when on July 1st Virginia began to honor all permits from all states. 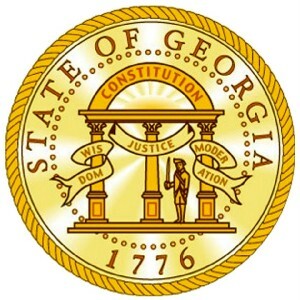 As a general rule Georgia will honor a permit from any state that honors the Georgia permit. The Georgia Attorney General has announced that they will not be honoring the Virginia permit because Virginia will not honor Georgia permits issued to those 18-20 years of age. This doesn't make a lot of sense since Georgia has been honoring permits from other states that have similar policies. We'll see how this unfolds but for now Georgia will not honor ANY Virginia concealed carry permit. How can someone in Georgia be 18-20 years old and have a carry permit, when the age requirement to obtain a permit is to be 21 years of age? they are currently serving OR have been honorably discharged from the U.S. armed forces (documentation will be required). getting a permit. a permit should be for all states come hell or hot water……………. enough said by me amen amen mgb all permit holders. As a Virginia resident CC permit holder who travels to GA frequently to visit In-law and vacation, I find this utterly ridiculous. It sounds like the Georgia AG has sour grapes and an axe to grind. Virginia HB 1582 introduced to fix this. Passed house vote yesterday 78-19, heads to senate next. Well I have the same deal, every state, even the ones up north, that I travel to or through, has the goodness to recognize and permit us to conceal carry. So everytime I go through Georgia, I have to pull up somewhere and strip down and lock away, one or more of my best friends. Leave a Reply to Jacob M Click here to cancel reply.